Hand painted acrylic on canvas. Coral lettering over teal background. " 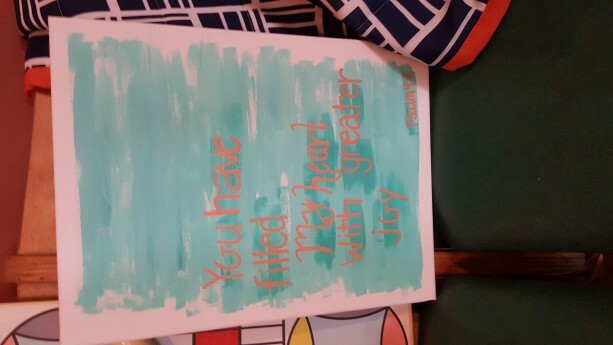 You Have Filled My Heart With Greater Joy."